Brandon Raynor personally teaches this massage course, with other teachers often assisting him. It is aimed at developing your strategies in giving effective treatments. This will enable you and your clients to get the most from massages and get great results, quicker. It will increase your diagnostic and treatment skills to make your treatments even more effective and transformative. This course is mainly focused on fully understanding the bands of tension that were introduced in the earlier courses. Another key learning focus is to make quicker diagnoses of clients problems areas and to create a rhythm and flow with your massage. This is important as it will give you the skill to to be able to unblock some of the deepest blockages that people can get. The Raynor Advanced Practitioner’s Diploma course is only for graduates of our Diploma course, regardless of any prior experience and qualifications in other massage modalities. If you book this course at the same time as you book your Certificate and Diploma courses, even if you don’t take it for a while to gain experience before you do this Advanced Practitioner’s class, we offer a ‘book together’ discount with all three courses. Please contact us for more information. Brandon will individually show people how to diagnose and plan treatments in order to build on your knowledge from the previous courses. This will lead to students being able to treat clients faster, more effectively and more smoothly. As a student you will also learn specific advanced techniques which we only show at this level. The training emphasizes the big picture of creating a powerful integrated massage treatment using Raynor Massage techniques. The overall purpose of this course is to totally free the body of tension and blocked areas of congested energy. Students in this class will receive massage treatments from Brandon Raynor, the other students, and his teachers. The goal of this is getting rid of all the tension in the your body so that you can understand more fully what it feels like to be tension free. Brandon Raynor teaches this course as a clinic with the students as the patients, so each student will receive a significant amount of massage. Most of this course will be focused on treating each of the students as if they were a client and asking what the best strategy is to treat that person. It is recommended that students who attend this course are comfortable at receiving a deep massage. This is because Brandon often works quite deep with people! This is an excellent way of taking your massage skills further and deepening your experience, understanding and abilities. The pace of the course will be intense. This course focuses on each of the students in the class in order to individualize the massage treatment to suit the client. The advanced course was an amazing experience! It has brought together the Raynor massage for me and taken it to another level. I have had the confidence to go full time as a massage therapist. I feel great in myself after receiving a massage and the benefits are being passed on to my clients! The Advanced Diploma course with Brandon changed the way I approach giving a massage treatment and took my bodywork to a new level. I now have a much deeper understanding of not just how to give a massage, but how to give a massage catered specifically to an individual. Every person has different bodies and emotional states and thus has different needs and thus requires a different strategy when being treated. This is the most valuable lesson I learnt during this course and I’m so grateful I did because I am now achieving incredible results in my bodywork. The Advanced Practitioner’s Course fee varies from country to country due to the costs of venue hire, accomodation, and teacher. Please see individual scheduled courses for prices. We are constantly conducting courses around the world. To check the schedule of your city please see our upcoming courses. No. You will be responsible for your own accommodation, food and travel, we can however offer suggestions for accommodation near to our massage schools. You will need to bring comfortable clothing, flat shoes and four large and two small towels. We provide the massage tables for use during the course. I don’t really believe in Chi and people’s energy. Can I still do this course? Yes, you don’t necessarily need to agree with a particular philosophical point of view to be able to learn Raynor Massage and give an incredibly effective massage. Do try to come to the course with an open mind – many people do go home with a different understanding of the human body and the body-mind interaction and recognise that there is much to learn from these ancient traditions even if their personal belief system does not integrate it. Do I have to do lots of reading and academic study? No. We will provide a full course handbook and training DVD and give you suggestions for further reading should you wish to add to the knowledge gained on the course. Can I get insured from this course? We work with a number of insurance companies, in all the countries we train in, who offer insurance for our students. Click here to view the full details. You can enrol into our courses by clicking the enrol button when viewing a scheduled course. To see all upcoming courses view our upcoming courses list. Must have completed the Raynor Massage Certificate and Raynor Massage Diploma courses. Cost varies with location and teacher. 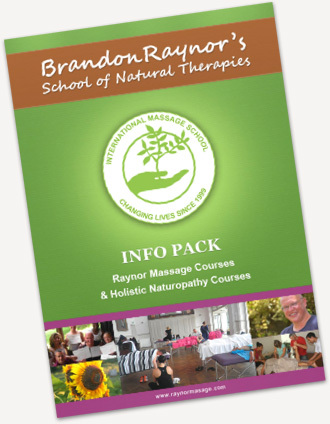 I really enjoyed completing the Diploma in Raynor Massage in Gympie. Great location, amazing teachers and fantastic group of students. Thanks Brandon and Cori for making everyday interesting and enjoyable!!! This Course integrates important elements of massage for proactive healing. Very interesting and somewhat empowering! Would certainly recommend this tool to others! Thank you for the fantastic knowledge and learning experience. I completed the course in 2009 and the later on completed the advanced course in 2013. Having experienced massage throughout the world , including some amazing work from blind masseuses in Tibet I was looking forward to a change of... read moreI completed the course in 2009 and the later on completed the advanced course in 2013. Having experienced massage throughout the world , including some amazing work from blind masseuses in Tibet I was looking forward to a change of career if this course delivered what it promised. It did, in great buckets, my first experience of an emotional release from a client was both humbling and I felt privileged to help with this process. Having only had an interest in massage , the two week course enabled me to immediately start working on people I knew and those I did not. The transition to getting paid was as easy as finding clients. It is still easy if you just talk to people. The advanced course rounded out the training and introduced new techniques including a form of what I could only call acupressure with amazing personal results. I would like to personally thank Brandon and Maureen for convincing me to attend. As an interesting bonus my personal chronic (lie on the floor for 3 days a couple of times a year) back pain completely went and has not re occurred. The change to my personal health and wellbeing as Terry mentioned was an unexpected bonus. Brandon Raynor Massage gave me the holistic approach to Healing Massage that I was looking for. The fact that I didn't have to study for 3 years while raising a small family was a huge bonus. I didn't know what... read moreBrandon Raynor Massage gave me the holistic approach to Healing Massage that I was looking for. The fact that I didn't have to study for 3 years while raising a small family was a huge bonus. I didn't know what to expect despite reading the website thoroughly. Nothing will prepare you for your first emotional release - Raynor Massage is spiritual, healing and gets right to the core of the physical & emotional issue. I ABSOLUTELY LOVE Raynor Massage and it's just a shame there aren't more of us around. Every client I've ever massaged has loved it, and have been in awe of what they feel during the massage (getting into the toes & fingers) and I love seeing their faces after I've finished - complete and utter relaxation. What an absolute pleasure to train as a massage therapist at a facility with such a high level of professionalism.From day one through to graduation.What a delight to learn from staff and students that celebrate life,put hearts in front of... read moreWhat an absolute pleasure to train as a massage therapist at a facility with such a high level of professionalism.From day one through to graduation.What a delight to learn from staff and students that celebrate life,put hearts in front of judgement and approach learning with a grounded intellect.i look back fondly at my education and relationships I forged there. If you choose to study massage for professional or personal reasons look no further than Raynor Massage School. Quickly develop skills with our 5 day introductory Massage Certificate course. Become incredibly effective with two weeks of intensive massage training. Develop skills to make your treatments even more effective and transformative. 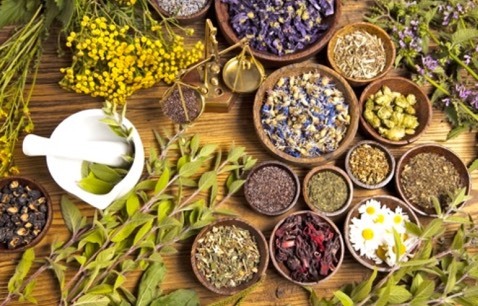 Learn how to prevent and manage illnesses naturally with this correspondence course. 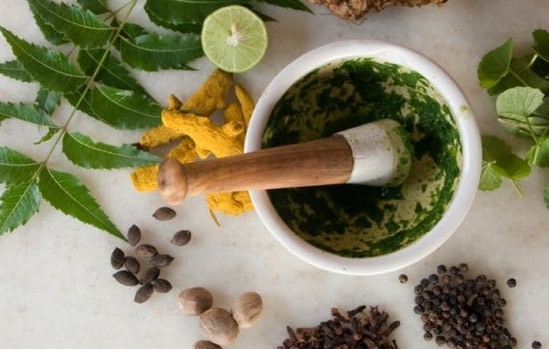 Become a certified planetary herbalist and gain a strong foundation in the history, principles, and practices of worldwide herbal medicine. 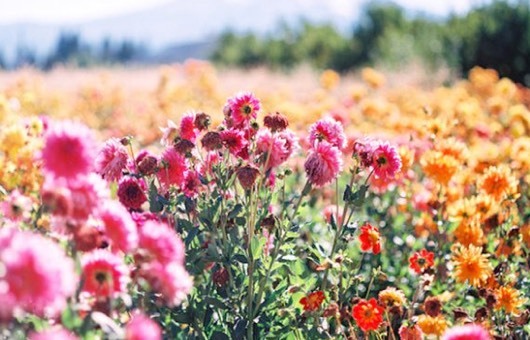 Become a certified Flower Essences Practitioner and learn a simple and readily accessible way people can heal themselves. 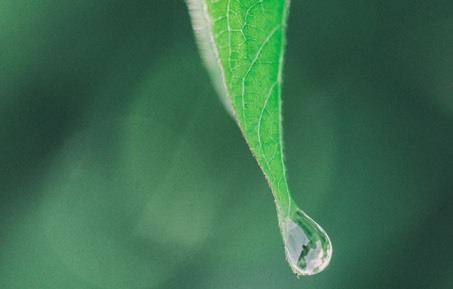 Learn how to use natural methods to assist in the art of balancing the mind, body and soul. 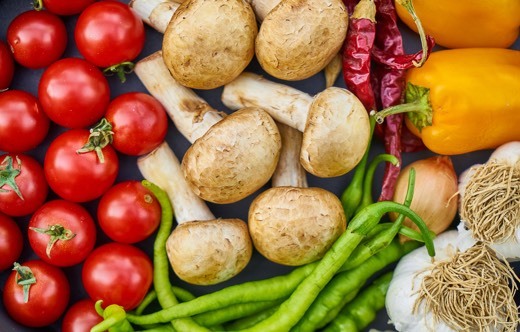 Learn the benefits of vegetarian whole foods have on our body and how to prepare them. 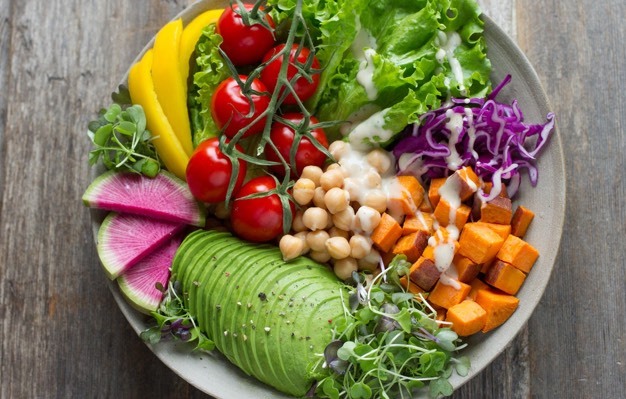 Learn science-based reasons why a whole food, plant-based (WFPB) diet is the superior choice for optimum nutrition.